Hi everyone! Grace here to introduce our first guest blogger for 2016, KB who is hosting today’s poetics. He blogs in A Mirror Obscura. I want to thank Grace for giving me this opportunity to host the pub today. In an astronomy class I once took in college I learned a trick. If you want to look at a particular star you don’t look directly at it, but rather to either the left or right of it to see it clearer. To me that is what one must do when writing any poem. On a broad stage, looking at poetry, there is only a small portion of that stage in which fiction has been given a place. In my writing, fiction occupies a large part in my poetry. It goes back to what Keats coined as a ‘negative capability,’ the sense of being receptive to the world and its natural marvel. To me this involves the use of fiction, imagination on the broadest of scales, if you will. It adds another dimension to poetry in that it can allow the poet to address issues they might not comfortably address as themselves, or allow them to address issues that are close to them and explore them from a different perspective. Take for instance the recent bombings in Paris, or anyone of the shooting sprees that have recently taken place. Imagine writing a poem from the point of view of the assailant. This is most often done by the use of the ‘persona,’ from the Latin for mask. The basis of a person poem is a change in point of view in which the poet tries to think like the character, imagining their thought, actions, skills and limitations. The idea is to embrace the world of the character as if you were the character. That character can be someone you know, or make up, a historical or even literary figure. Ii is in mind the closest you can come to the world of fiction in poetry.Edgar Lee Masters, “Spoon River Anthology,” is an entire book of separate persona poems used to portray the lives and nature of a fictional small New England town. Browning’s, “My Last Duchess” is used to give us an insight into Renaissance attitudes. In my poetry, much of the time the “I” in the poem is a persona that allows me to explore different ideas. A more straight forward persona poem I’ve written is this one in which I imagined what a figure from mythology might have thought. To me and only hunger for human flesh. Of other’s shame, a destiny to some. A beast of horn and snout. Both themselves better made than each other. Would despise me for and use at whim. By the hands of one called Theseus. Be that of my swift departure. I’ll not give a care. Caught in a maze of pain. K. A. Brace is 63, lives in Nashville, Tennessee with his three dogs and four cats. He is a graduate of The State University of New York at Buffalo where he received both a Bachelor and Masters of Arts degree in English. Good evening… I really enjoyed the challenge.. and so timely to write persona on a hero of personas… I will soon go out and make my rounds. This was an interesting and intriguing prompt. I linked my poem before I saw someone had kindly already linked me. Sorry! I don’t know how to remove a link so the second one is just the first. Thank you! I may. But I certainly won’t repeat myself! I used this device to write of an Edo period samurai, including his jisei, a few months back. It is a most enjoyable device! Thank you. Sounds fun. Carol Ann Duffy is a mistress of persona poems eg her Ann Hathaway and Miss Havisham. I have not read those poems by her… sounds very interesting..
There’s an anthology called The World’s Wife and she writes in the persona of the women behind (or in front of)famous men. This definitely was a fascinating prompt! I will be gone for much of the afternoon but will catch up with people later! I agree with K.B., once prose & fiction enter the fray, one’s imagination kicks in, & we remember why we became/are writers, to be story tellers; & some of us go the next step & embrace the oral tradition with a recitation which deepens the reader’s understanding of the piece. A good opportunity to come out of the comfort zone and, hopefully, take the reader out of theirs. What is great about persona in also the most challenging: that when we see through their eyes, we find the humanity in everyone, even those we would call monsters. Perhaps we simply put our humanity into them. I remember a poem from school about a concentration camp guard going home to his children. The idea always stayed with me. Thanks for hosting, KB. I may try another one to better meet what you were asking for, if time allows. As a fiction writer, it’s fun to assume a different persona–fun and challenging. I see I’ve gone off prompt slightly by not injecting any fiction within. I sometimes write ” I ” with the fiction just to keep people guessing. Some people think I am a lesbian but really it’s because sometimes I write from the male perspective towards myself. This Persona poem, was intense! Loved trying this, as I’d never done one before 🙂 Thanks so much for the prompt and explanation, KB! 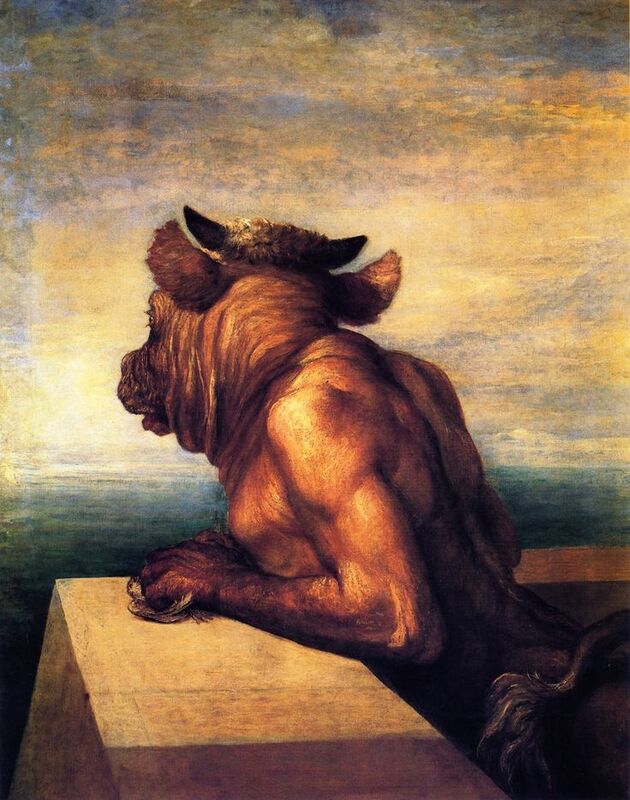 I’m responding as a newbie but wanted to say how much I identified with the minotaur. Wiull try to respond to the prompt. I believe that almost every poem I write is in some way a persona poem. To me the act of writing is akin to method acting–one has to become someone else in order to expand one’s sensibilities. Nearly everything I write is heavily dosed with fiction. Perhaps a sprinkle of ‘me’ is in there, but it’s only a hint. A fun prompt, KB. Many thanks. I love this style of poetry so have just tried one but with a nature theme or persona, the white tailed bumblebee! The whole point of writing in someone else’s voice is to say things you might not ever be able to say yourself. It compels you to use your imagination and critical thinking values. Writers in themselves lead very boring lives by and in large it is important to be able to step out into the world using your imagination and do something you have never done before. Indeed, it is a good thing and helps broaden our own perspective. A writer needs to be able to align with everything in life, particularity poets. If you keep your writing circumscribed to only a few things there is no chance for discovery for either you or your reader. The idea of a comfort zone should not even be in your tool box. Every time you write you should be stretching beyond what you think you are capable of or else you will simply write the same thing over and over again and never realize your full potential. Well you’re so right of course, KB. We writers have to be able to expand ourselves. I can’t imagine anyone wanting to write the same things over and over again in a static pattern. I appreciate your words of inspiration here and do realize that you’re a most dedicated and industrious writer seeking to improve himself. I respect that. KB, sorry to bring this up, but I noticed you didn’t return visits a number of times and I even told this to you. Well, it might still be okay for someone else’s prompt, but on your own at least you should respond? Thanks for the prompt KB, which I’ve only just found. It is a real hangup of mine that my poetry has to be truthful rather than imaginary, but I did write a suite of 10 poems in the persona of Poseidon a few years ago, which probably exhausted my imagination! I’m probably too late this time, but perhaps I’ll write something for the next OLN.